January is National Mentoring Month. Corporal Larry Wilson of the Monroe Police Department shares information about the OK Program in the Monroe, Louisiana area. The OK Program works to expand the horizons of young black men in the Monroe region. Cpl. Larry Wilson describes the OK, short for "Our Kids," Program as, "a male-mentoring program designed to decrease the high incarceration and homicide rates of African American males." Cpl. Wilson and his group of mentors reach out to African American males starting at age 12. 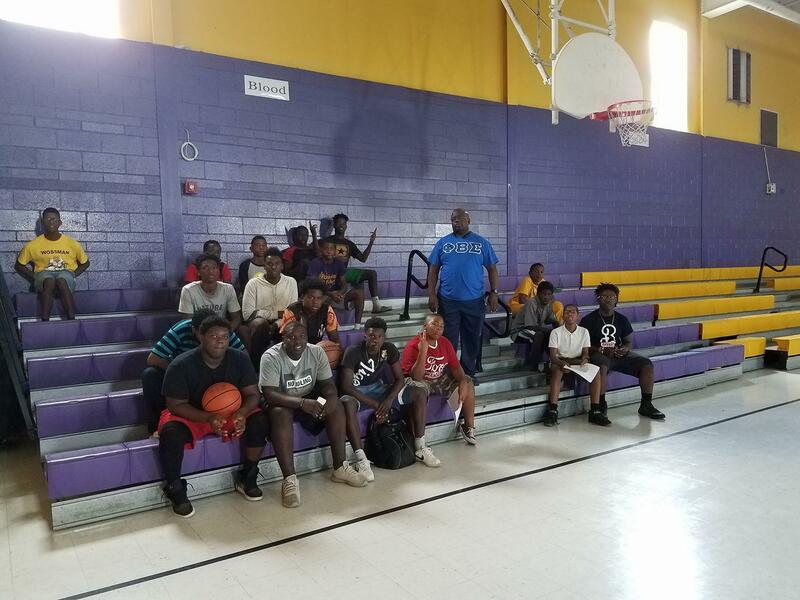 The goal of the program is to fill in the gaps left behind by an absentee father and help these youth become positive young men in the community. The program is open to students 12 and up. The OK Program was founded by Donald Northcross, a graduate of Northeast University. He began the program in Sacramento, California as a response to the violence and death rates involving young African American males in the inner cities. The OK Program was highly successful and has since grown to nine cities across the country including Monroe, Louisiana, where it has been ongoing for 12 years. The OK Program finds mentors such as local business owners and entrepreneurs who work with the young men by giving advice and teaching them life skills. Cpl. Wilson states that he wants to give a positive influence to help teach these youth to be respectful men. The program mentors help with school work and check up on grades, encouraging the young adults to do their best work. The mentors also help students decide on colleges and fill out applications. Students meet every Saturday morning and have the opportunity to talk with their mentors as well as voice what they want or need from them. The program brings in guest speakers to talk with the young men. In the afternoon, there are recreational options, as well as more time available to spend with mentors. For more information about the Monroe branch of the OK Program, contact Cpl. Larry Wilson at 318-329-2600.